Stephanie Hansen, an attorney in Young Conaway's Commercial Real Estate, Zoning and Land Use Section, will serve as a moderator for “The Delaware Coastal Zone Act at 40: Past, Present, and Future.” The symposium, held on Friday, September 30, from 9 a.m. - 5 p.m. at Widener University School of Law, will provide a forum for a conversation about the opportunities and challenges over the next 40 years. The controversial 1971 law was heavily opposed by the industrial community in general, and Shell Oil and the Nixon Administration in particular (it passed the Delaware legislature by a narrow margin). 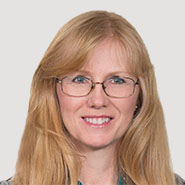 Stephanie will moderate the 1:30 p.m. session titled: “Legislative and Regulatory Perspectives: Is It Time to Begin the Discussion?” 5.5. CLE credits are available for DE and PA. Walk-ins are welcome, but space is limited. For more information contact Prof. James May at 302.477.2060 or [email protected].